LOS ANGELES/THOUSAND OAKS, Calif.—Sept. 22, 2016—Dekel Strategic Investors (DSI), a proprietary equity fund of Dekel Capital that provides equity capital to real estate developers engaging in multifamily and senior housing development projects, has placed $16.1 million in equity for the development of Sage Mountain Senior Living. 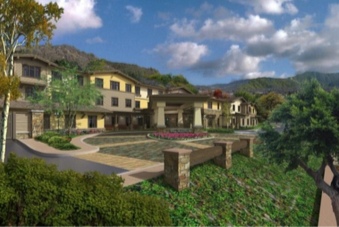 The 130-unit, 58,154-square-foot assisted living and memory care facility will be located in Thousand Oaks, California. With the closing of this deal, DSI has now invested over $100 million in equity, since the platform was launched in January 2014. As the baby boomer generation continues to age, the U.S. Census Bureau projects the population of Americans over the age of 65 will nearly double by 2050. As a result, quality senior living options for the aging community are in high demand, and projects like Sage Mountain Senior Living meet this need. Sage Mountain Senior Living will house 98 assisted living units, along with 32 memory care units within a secure memory care wing. Each unit in the four-story building will average 453 square feet and will be fully handicap accessible, equipped with extra wide doors and handicap bathroom fixtures. Amenities for the project include a salon, fitness room, library and a 41-space subterranean parking garage. The property’s accessibility off of U.S. Highway 101 provides great visibility for the project, while its quiet cul-de-sac location offers privacy for its future residents. Sage Mountain Senior Living is also located in close proximity to major retail centers, including The Oaks, a regional shopping mall, and The Promenade at Westlake. Construction started in early September 2016 and is tentatively scheduled for completion by the beginning of 2018.